Combined company will enhance the efficient transfer of information between brands and their customers Gladson, a Chicago-based portfolio company of The Jordan Company (“TJC”) and Wicks Capital Partners (“Wicks”), announced today that it has acquired Nashville-based Edgenet, a leading product content management software provider. 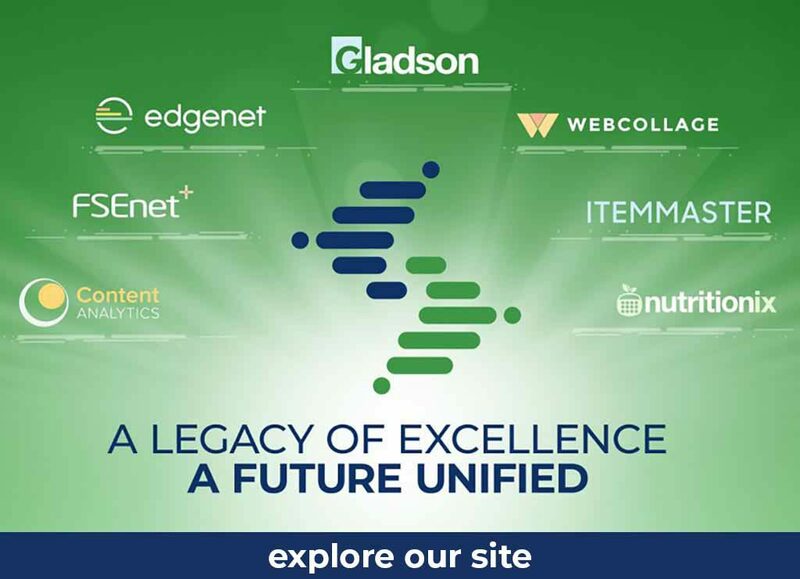 The combination of Gladson’s industry-leading digital content creation and technology-enabled dissemination capabilities and Edgenet’s network of more than 10,000 brands expands Gladson’s leadership position in its core markets, and further enhances the company’s mission to become an end-to-end single source of reliable product content and information with its clients. The terms of the transaction were not disclosed. “Gladson and Edgenet are leading players in the product content and information management industry, each with exciting technology-enabled service offerings. We are excited to bring these two great companies together in order to satisfy our clients’ desire for a single-source provider of product information across a wide variety of industries. We are aligned in our mission to make continued investments in technology and innovation to meet our clients’ ever-changing and complex needs,” said Gladson CEO Paul Salay. Salay added that Gladson is committed to Nashville and being part of its rapidly growing technology sector – a sector that will be bolstered by this significant acquisition, which is believed to be one of the largest acquisitions of a technology company in the city’s history. Gladson’s acquisition of Edgenet is the latest of several it has made in recent months. In January, Gladson acquired FSEnet+, a GS1 GDSN certified data management and syndication provider; in March, Gladson acquired Webcollage, the leading platform for managing and publishing rich product information across a vast network of retailer sites globally; and in June, Gladson acquired Nutritionix, a leading interactive digital platform that allows its users to upload, organize, track and publish nutrition data. The companies’ integrated offerings represent the industry’s only single-source provider of consumer product information and content from supply chain to end customer utilization, offering a powerful end-to-end product content experience across multiple industries. Winston & Strawn LLP served as legal advisor to Gladson. Gladson’s digital asset management and product content and information management solutions enable the most efficient and accurate transfer of information across the brand and retailer ecosystem on the market today. Clients are able to increase in-store and eCommerce sales with Gladson’s detailed and verified product information that helps shoppers in their buying decisions, while its store optimization services enable attractive and effective store and shelf layouts to facilitate the path to purchase. Gladson’s enterprise-ready digital content feeds eCommerce, space planning, category management, store optimization, marketing, advertising, supply chain, market research, mobile applications, master data management and other critical business processes and systems. Accurate, current content fuels product experiences. Edgenet combines product experience management and GDSN® in one powerful platform, allowing suppliers and recipients to organize, distribute and analyze all their product content – all in one place. Headquartered in Nashville, Tennessee with a network spanning more than 10,000 brands, Edgenet’s technology is the most complete product experience management platform that simplifies workflows and creates experiences that drive margins and market share. For more information, visit www.edgenet.com. TJC (www.thejordancompany.com), founded in 1982, is a middle-market private equity firm that has managed funds with original capital commitments in excess of $11 billion since 1987 and a 36-year track record of investing in and contributing to the growth of many businesses across a wide range of industries including Industrials, Transportation & Logistics, Healthcare & Consumer, and Telecom, Technology & Utility. The senior investment team has been investing together for over 20 years and it is supported by the Operations Management Group, which was established in 1988 to initiate and support operational improvements in portfolio companies. Headquartered in New York, TJC also has an office in Chicago. Wicks Capital Partners is a private investment firm based in New York City that invests in lower middle market information businesses that create and deliver niche content and services to the business, consumer and education markets. Since its founding in 1989, Wicks has invested over $1 billion of capital in more than 30 platform companies and approximately 100 add-on acquisitions. The firm has applied a consistent investment strategy since its founding, partnering with high-quality, experienced management teams to build businesses organically and through acquisitions. Learn more at www.wicksgroup.com.